Horizontal drilling and hydraulic fracturing are processes used to extract natural gas and oil from shale and tight rock formations. 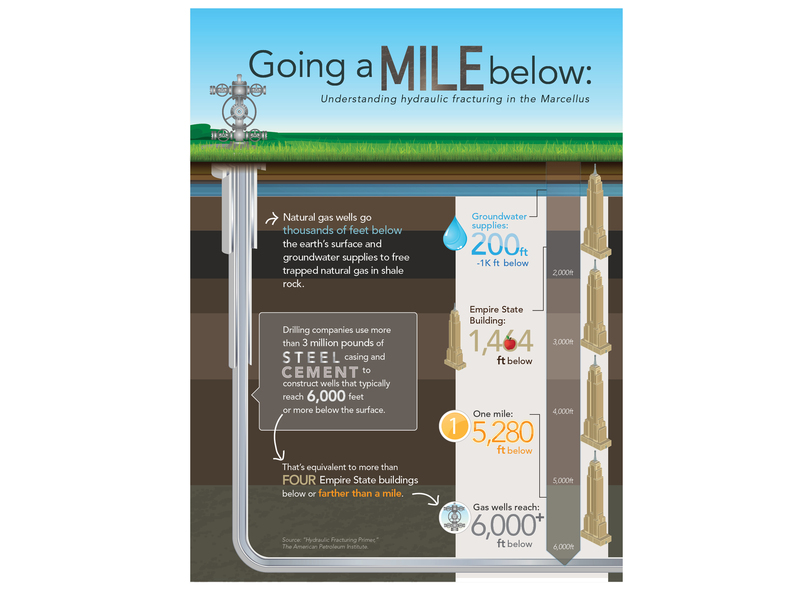 The operation involves drilling a vertical well more than a mile below ground and then extending the well horizontally 2,000 to 5,000 feet into the shale. Next, hydraulic fracturing injects large volumes of pressurized water along with sand and additives into the well to create small fractures in the rock that allow the natural gas or oil to travel back to the wellbore. This combination of horizontal drilling and hydraulic fracturing has unlocked previously unattainable U.S. oil and gas resources. Horizontal drilling and hydraulic fracturing first emerged in the early 20th century, although the technologies did not reach commercial viability until many decades later. 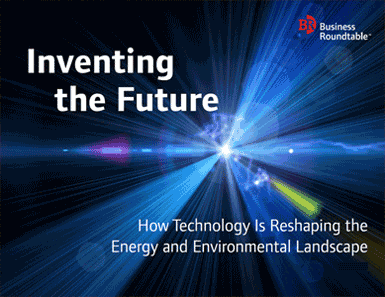 The full integration of these two technologies — along with 3D seismic mapping — in the late 1980s is credited with unlocking the United States’ shale resources and sparking the current energy boom. Since the 1980s, both technologies have progressed considerably. 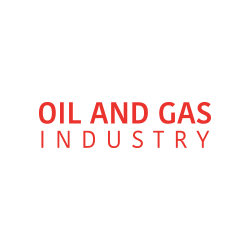 Horizontal drilling is now so advanced that drillers can adjust the drill string’s position through the horizontal section of a shale formation to access the most promising areas. Meanwhile, new hydraulic fracturing techniques and fluid compositions have helped boost yields. At the same time, companies have increasingly emphasized environmental sustainability in the fracturing process by improving the precision of fractures, reducing the number of additives contained in fluids and strengthening the monitoring process. Increased resource production: Horizontal drilling and hydraulic fracturing have unlocked vast quantities of domestic unconventional resources — generating substantial economic growth and enhancing our country’s energy security. Improved environmental performance: In addition to boosting the production of natural gas — a relatively clean and energy-efficient fuel — these technologies have also increased the productivity of wells, thereby reducing the environmental footprint associated with extraction.